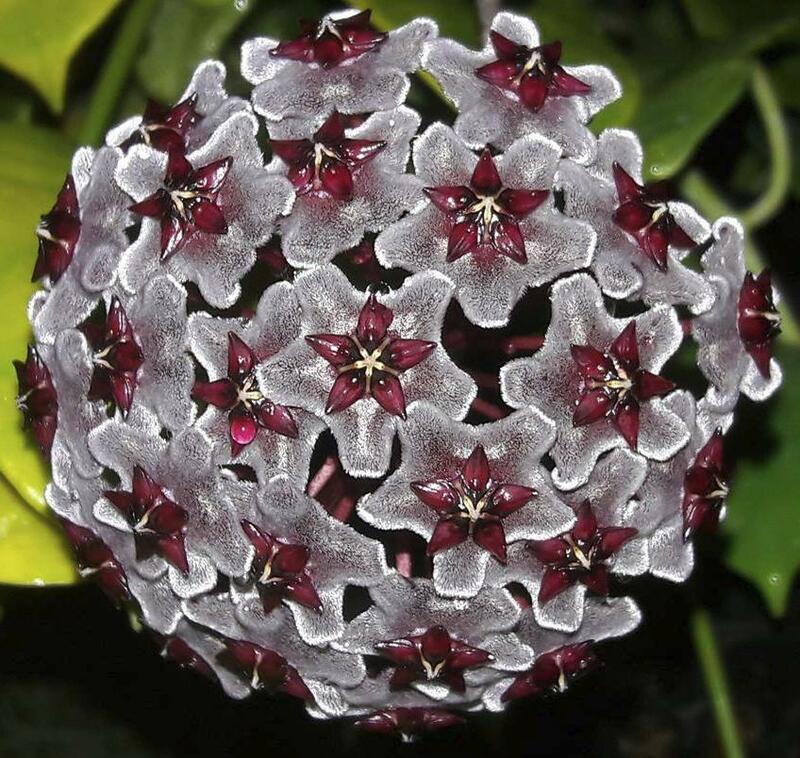 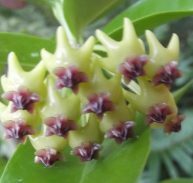 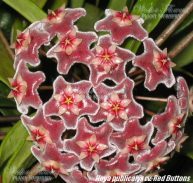 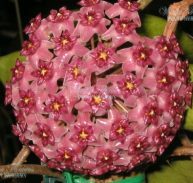 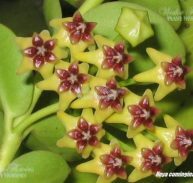 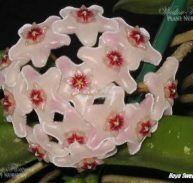 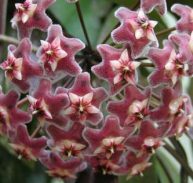 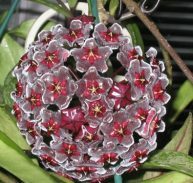 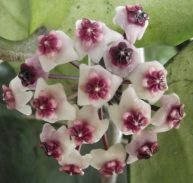 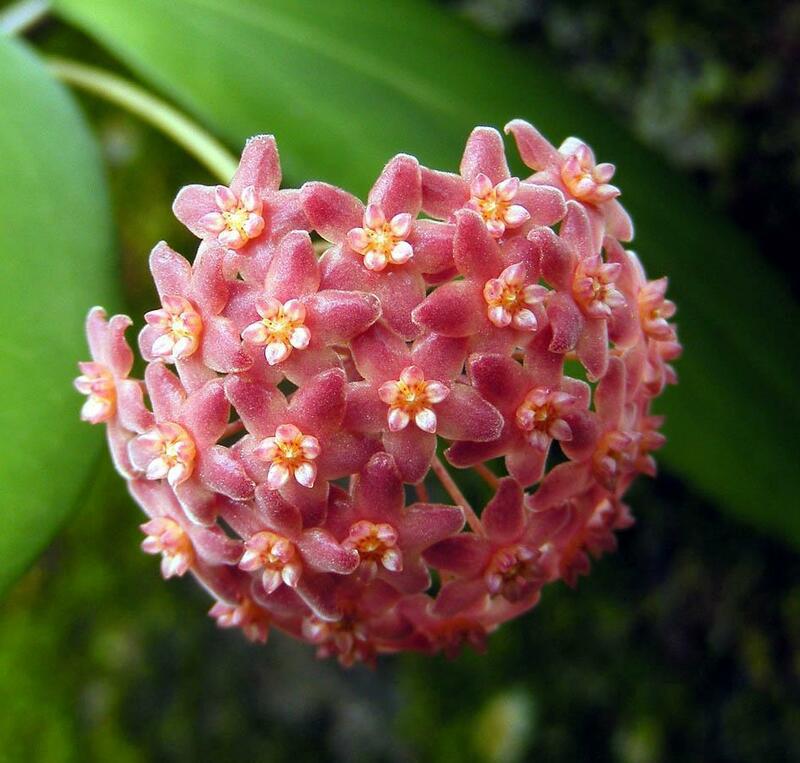 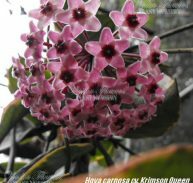 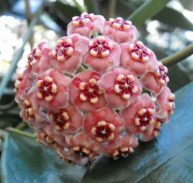 Hoya shepherdii is a compact species with narrow leaves up to 100mm long and is well suited for hanging baskets. 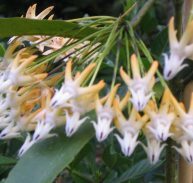 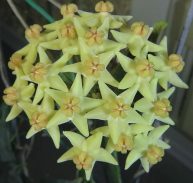 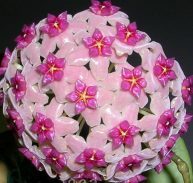 Flowers are 13mm across and come in bunches of 5 to 15 hanging from along the stems. 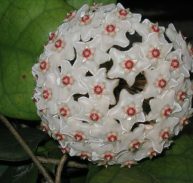 It is hardy and easily grown in most environments. 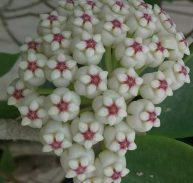 It will flower repeatedly. 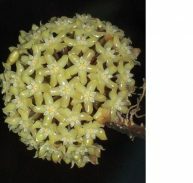 It can grow from 3 metres to 12 metres depending on location. 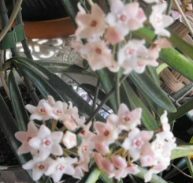 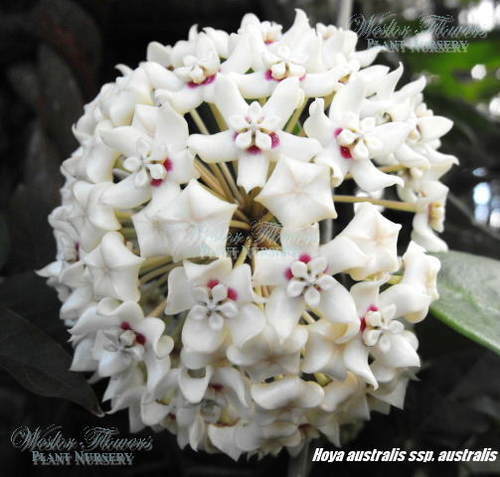 It has fragrant fuzzy waxy white (maybe pink) blooms) and hard glossy green leaves that are 50mm to100mm long. 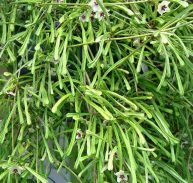 The rounded leaf petiole is sharply bent and the leaves hang down. 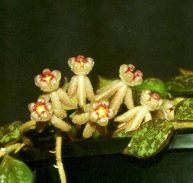 They are full of chlorophyll so it grows well indoors even in subdued light. 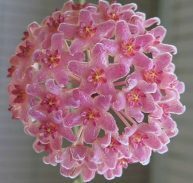 It blooms easily and regularly every year in strong light. 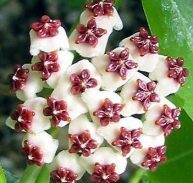 It prefers dappled shade with some full sun (preferably morning) sun and likes a neutral soil (6.6 to 7.5) or slightly acid (6.1 to 6.5) and gravelly soil. 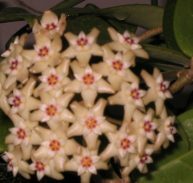 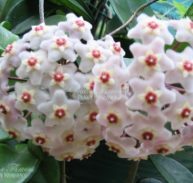 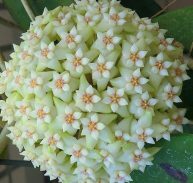 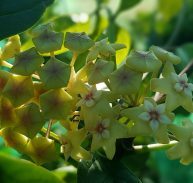 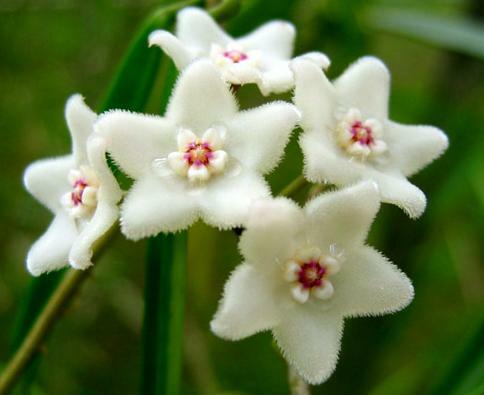 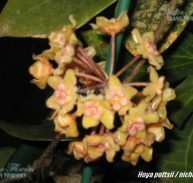 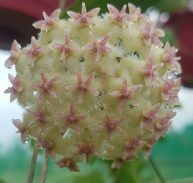 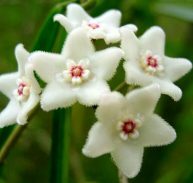 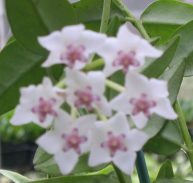 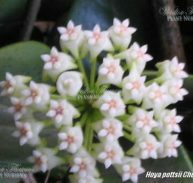 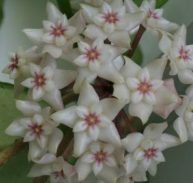 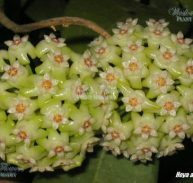 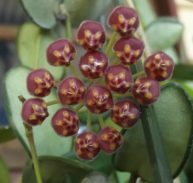 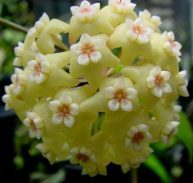 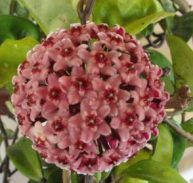 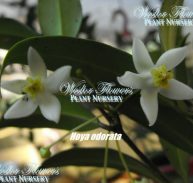 ENJOY THIS UNUSUAL FRAGRANT HOYA!